Just a Little Light Quilt- Finished! So, I finally finished my Just a Little Light Quilt!! This is one I started a ways back. I really enjoyed working with these Lotta Jansdotter Bella prints. The fabric is so delicously soft and the pattern is just lovely. I used Kona Ash for the negative space/background color; I know it’s not a huge change from my mostly typical white background, but it’s a start! After so many hours of tedious pebble quilting though, I simply couldn’t look at it for anymore in order to get the binding on. So it sat while I gathered my inspiration to finish it. Finally I got around to it this weekend. I’m so happy to have it done. 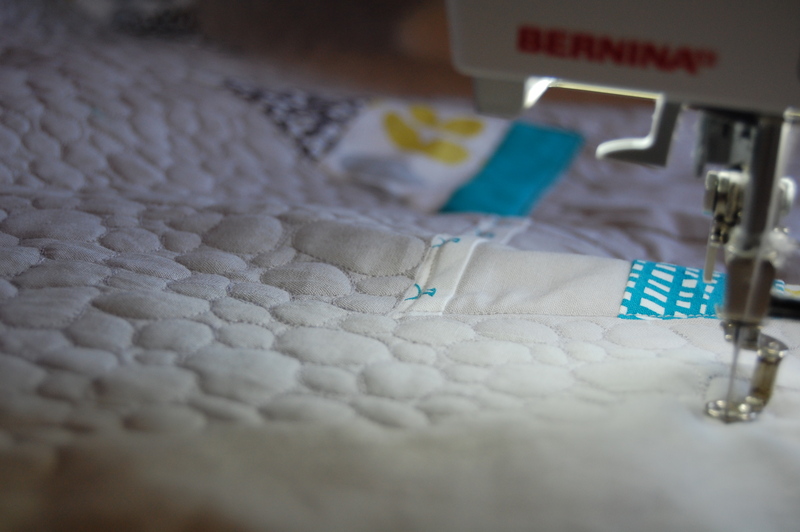 I can happily scratch pebble quilting off my list of must try quilting techniques. 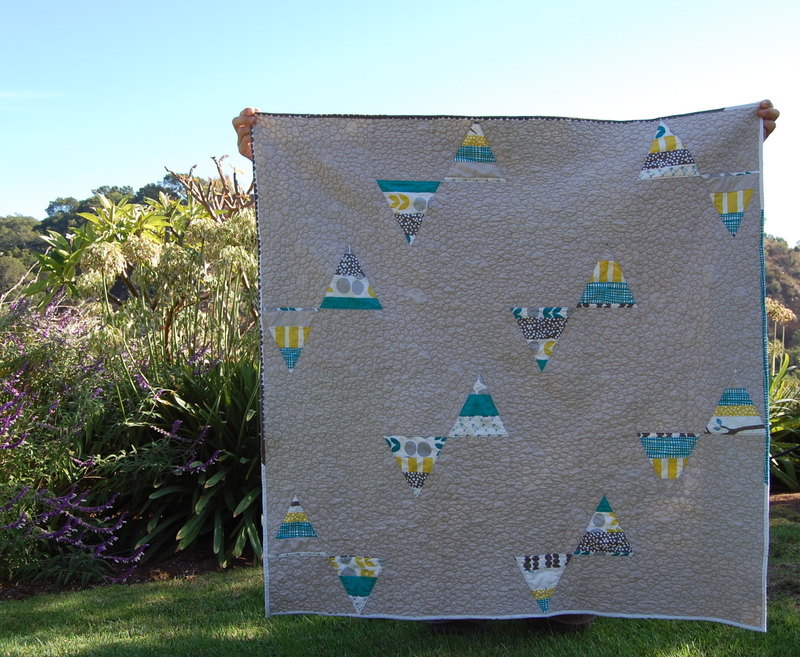 After doing it on such a big open space, I’m happy with the results but in hindsight,– my takeaway on pebble quilting- —only in small doses!!! It seemed to make sense at the time as I loved the pebble like quality of the circles in the Bella prints. I loved the idea of echoing that in the quilting. I really enjoyed peiceing together my leftovers for the back, as you can, uh ahhemm, see. Yes, I must admit, I had a hard time knowing when to say when here!! This little guy finished up at about 45×45 and is destined to be a baby quilt somewhere, someday!! 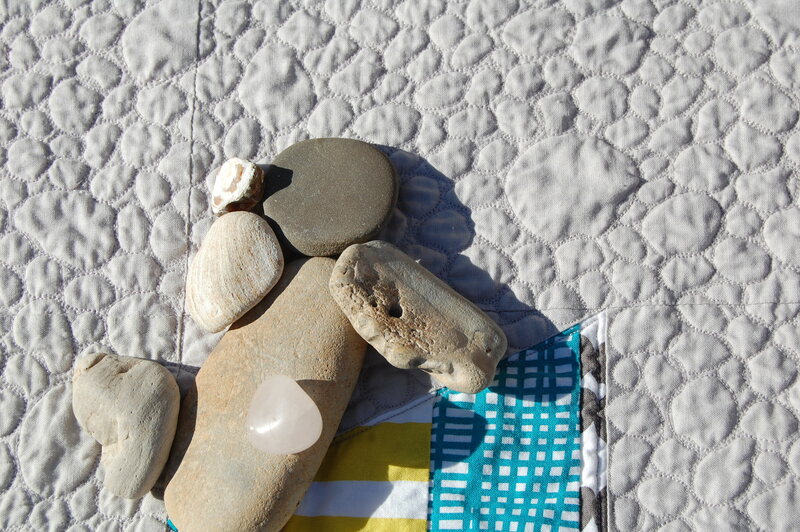 I love the way the stones echo the quilting! 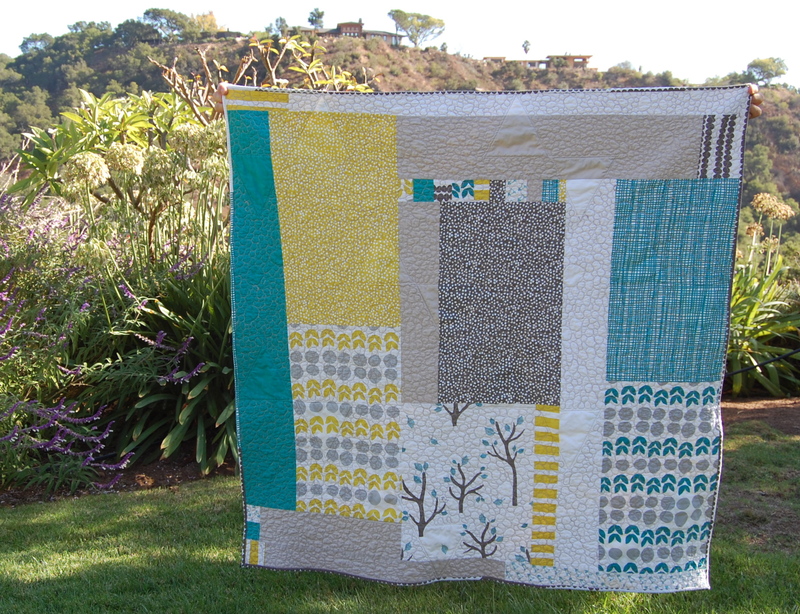 Lovely little quilt – how do you get the time to make so quickly? I love what you did here!! 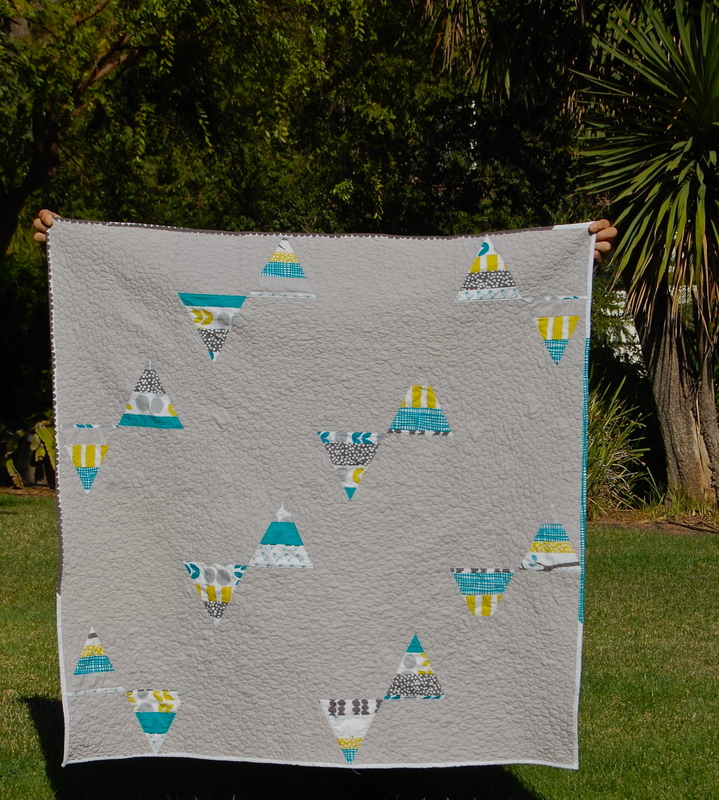 The quilting, and the negative space with triangles for the front! It’s so great! I think when I try pebbling, it will be for pillows, but I love the look of it. It’s beautiful. Bravo on the pebbles.